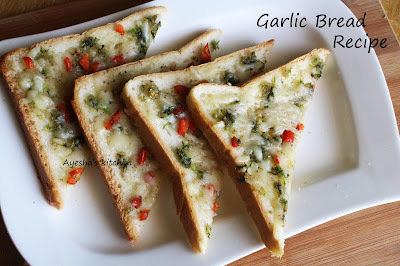 Here am with an easy cheesy garlic bread recipe that is a perfect accompaniment along with pasta, soups and even salads. A perfect recipe for busy moms which is utterly delicious and yes, it is one among kids favorite snacks. This recipe for garlic bread has the right amount of garlic, butter, and cheese which makes it the best garlic bread recipe. 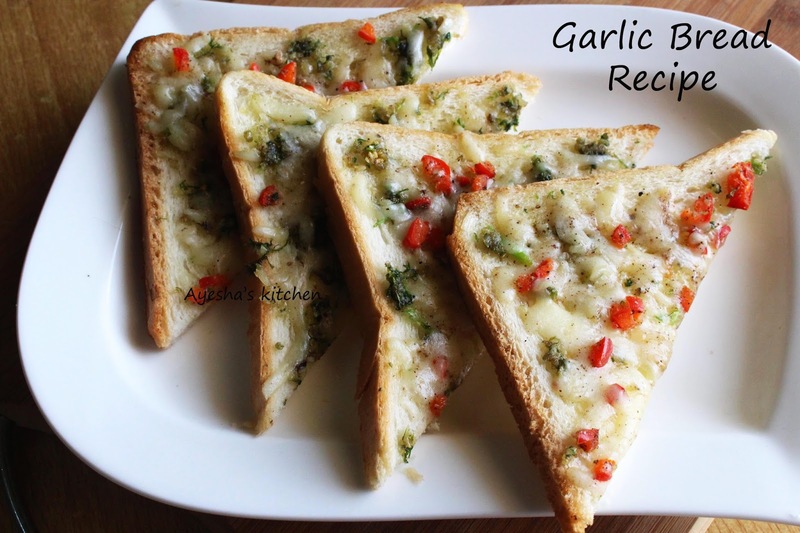 Trust me, store bought never tastes better than this easy home made garlic bread. I had gone through lots of recipes for garlic bread and finally, I was tugged to this soft garlic bread recipe. Here the coarse grind garlic cloves are sauteed in butter before spreading them on the bread slices which makes it yummier than those stuff in the freezer section of supermarkets. Do try this simple quick bread recipe which never fails. Do try this and drop your valuable comments. So here is the recipe showing how to make homemade garlic bread / fresh garlic bread/homemade garlic butter spread / healthy kids snack ideas. Coarse grind coriander leaves (or can use any other herbs) and garlic cloves in the small jar of the grinder. (do not add water). Heat butter in a nonstick pan and saute the coarse grind garlic mixture in a low flame until the raw smell of garlic goes off. When done transfer this garlic butter to a bowl and set aside. In another bowl, mix together grated cheese, pepper powder, bell pepper/chili flakes and a pinch of salt. Set aside. Now heat the pan and grease it with some garlic butter. Take a bread slice and spread garlic butter over it (both sides) and place it on the hot pan. Now drop some cheese mixture over it and close it with a lid. Make the flame very low.